Carol Hockersmith thrives on input. She has a mind the Gallup Strengths Finder says finds many things interesting to be useful later. It figures into her being a person drawn to the process of learning. She is a person who likes ideas that connect. To be a better thinker, writer and communicator, Hockersmith earned a Master of Liberal Arts from Baker University in conjunction with Southern Methodist University. In her own education pursuits, Hockersmith embraced university collaboration. 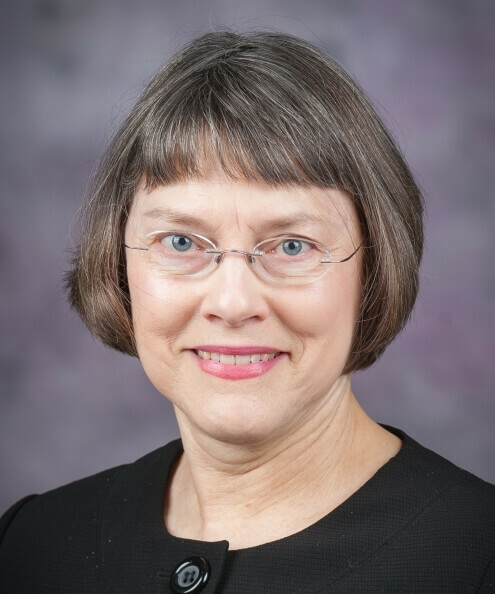 The Master’s of Liberal Arts degree was an extension of Hockersmith’s bachelor’s degree in journalism and mass communications from Kansas State University. Her journalistic goal was to provide information to others for their informed life decisions. She also earned a bachelor’s degree in horticultural therapy with dual training in psychology and horticulture from K-State. It was further application of her interest in what motivates people to greater potential. These strengths, skills and educational focuses come together for Hockersmith in her work with Great Plains Interactive Distance Education Alliance. As a program assistant, she delights in making higher education exceptional and available through the online consortium. Her role includes liaison for program assessment coordinators to their assessment consultant and creating appreciation letters for faculty. She puts her journalism skills to good work researching updates to office directories and keeping revenue analysis up-to-date. Her strengths also make her prime for leadership. She is active in the National Federation of Press Women and has held offices in Kansas Professional Communicators, her P.E.O. chapter and Manhattan (Kan.) Lions Club.